Continuing registration for our Dutch morning courses (levels A1 to B2) is possible throughout the year. Course times will be Thursday and/or Friday from 11am to 12.30pm for groups of up to 5 participants. 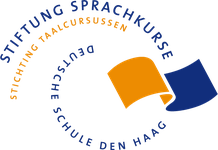 The German and Dutch courses follow the European Framework of Reference for Languages and prepare participants for the respective exams, which can be done externally. Certificates of participation are issued to all participants who have attended at least 75% of the course time.